The Vodafone Fijian national team ended its Indonesia, tour undefeated in its two match international friendlies this week. After playing to a nil-all draw against the Indonesian National team last Saturday, the Christophe Gamel-coached side yet again registered the same result against Cilegon United FC at the Krakatau Steel Stadium in Jakarta on Monday night. 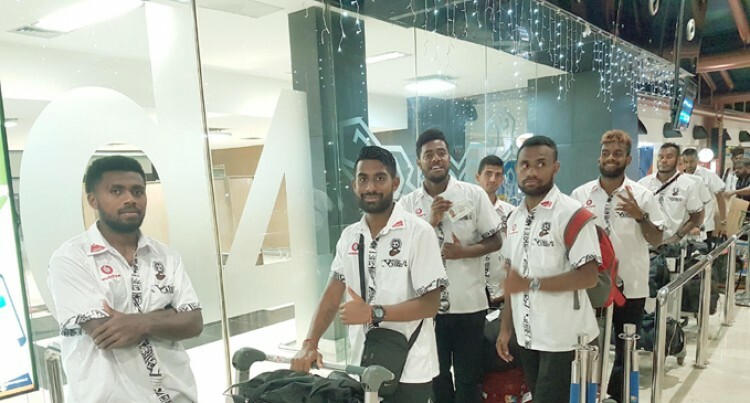 Fiji Football Association chief executive officer Mohammed Yusuf praised the performance of the team during their Indonesia tour. “The boys played well to hold Indonesia and I thank them for their effort,” said Yusuf. “We played a team who were above our rankings and the boys played courageously which showed their pride for their country. Yusuf said it was not easy for the boys to play in front of the more than 1800 crowd. “It has been a good exposure for our team as they played in front of more than 1800 people,”he said. He also commended the effort put in by the national coach Christophe Gamel who courageously guided the team to hold its 175th ranked opposition. Yusuf said Fiji football was moving in the right direction under the guidance of Gamel and had asked the soccer fans to have patience with the team. “Gamel has been saying all along for fans to have patience for the team. “He is doing a great job and the Fiji FA will strongly support him to take football to a new level in the country. Yusuf said there was a new playing philosophy been put by Gamel and it was heading to the right direction. Yusuf said there werea lot of new and young players in the team. He said there were more international friendlies lined up for the team. The team has returned and will join their districts for the Courts IDC preparation.